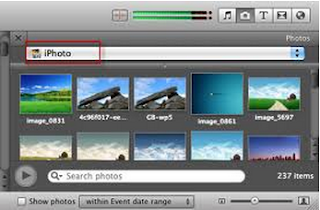 iMovie can be used for creating tutorials and guides for students.. Teachers can create a how-to iMovie around a concept taught in the classroom and students can then burn it into a disc or load it into an iPod and take it home and practice it with the appropriate instruction. It can also be uploaded into the classroom blog for everyone to access any time they want. This is also a great way to help those students who were unable to attend the class when the concept was taught. Students can use iMovie to create high-quality video reports to demonstrate their comprehension of abstract concepts. Both teachers and students can use iMovie to document and record events outside of the school and that has relevance to the units being taught in the classroom e.g., field trips . These iMovies can be brought to the classroom and shared with the whole class. Using iMovie in classroom projects is a great way to promote a culture of collaboration and co-operation among students. They can work in groups to create iMovies that includes text, photos,and sound to represent their projects. While watching works of others, students can have the chance of giving feedback to their peers. Students can use iMovie to tell stories using digital media including pictures, images, and music. This can improve their verbal fluency and their communicative skills.